44 x 32 inches. To the right are Mary’s parents, Joachim and Anne. Little John the Baptist holds Jesus’ foot. 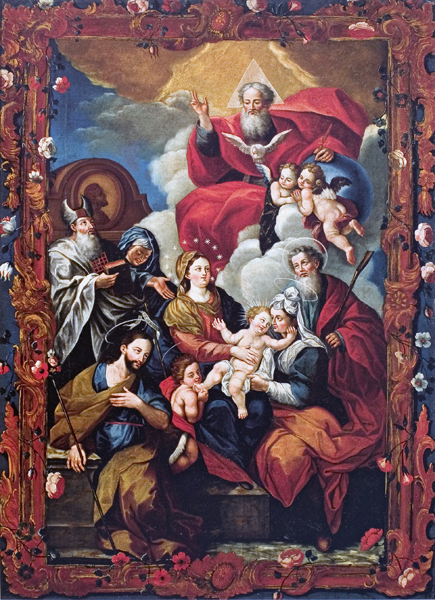 His parents, Zechariah and Elizabeth, are above to the left. St. Joseph with his flowering staff is to the lower left. God the Father and the Holy Spirit look down from on high.